Has anyone tried to set up ObsoNet emulation in BlueMSX lately, with INL? I've been able to select my wired ethernet device on BlueMSX, and have inserted an ObsoNet BIOS ROM (1.2) in a cartridge slot. I see the copyright message appear, when the system starts. I start MSX-DOS, and while INL loads, while I don't see a "Can't find UNAPI device" message, I also don't see any indication that the driver successfully installed, or any output from Status or dump variable commands. You are using an outdated version of INL, you should use v2.0 instead. Also you will need to install the UNAPI RAM helper first. You can find all of this at my web site. 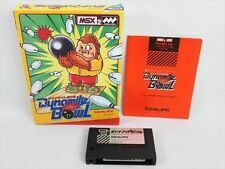 I am MEBUSADA,Japanese MSX user. I want to use your obsonet and INL on blueMSX like tschak909. My Windows7 computer installed BlueMSX connect home network. My Windows7 has Static IP(192.168.11.2) address Supplied by the Wireless router(192.168.11.1). At first I installed Wincap and selected 192.168.11.2 in BlueMSX Ethernet list. 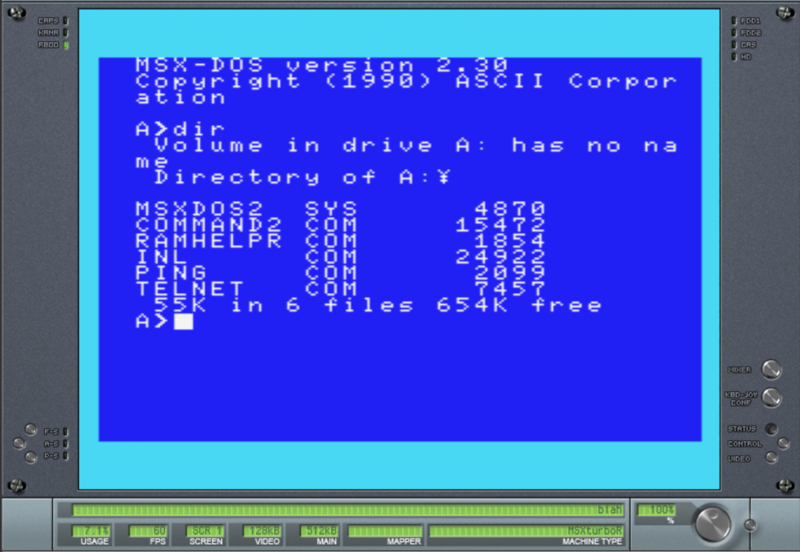 insert MSX-DOS2(ver2.30) DISKIMAGE into diskdrive1. ramhelpr i →It seems successfully. *** No Ethernet UNAPI implementation found,InterNestor Lite not installed. I also tried DHCP but it was useless like static IP address pattern. Hi MEBUSADA. Looks like the Obsonet BIOS is not booting properly. Have you configured slot 1 as being of type Obsonet? Thank you for your reply,konamiman. At first,I checked my slot setting according to your advice. I noticed my ROM image is old type. So I tryed to insert new ROM image BIOS1.2. Ethernet UNAPI implementation found,but hang-up afterwards. Next I tryed INL-ETH v1.1.1(old ver INL). Succeeded partway but eventually fail when INL try to set default gateway. I cleard the first step but faced a different type of error than tschak909. I succeeded setup the system. Both DHCP and static IP address established using MSX2 setting and BIOS.ROM. I am grateful for your kindness konamiman. Tschak909, I think that it will work if check your router. Where can I find one that will work ? 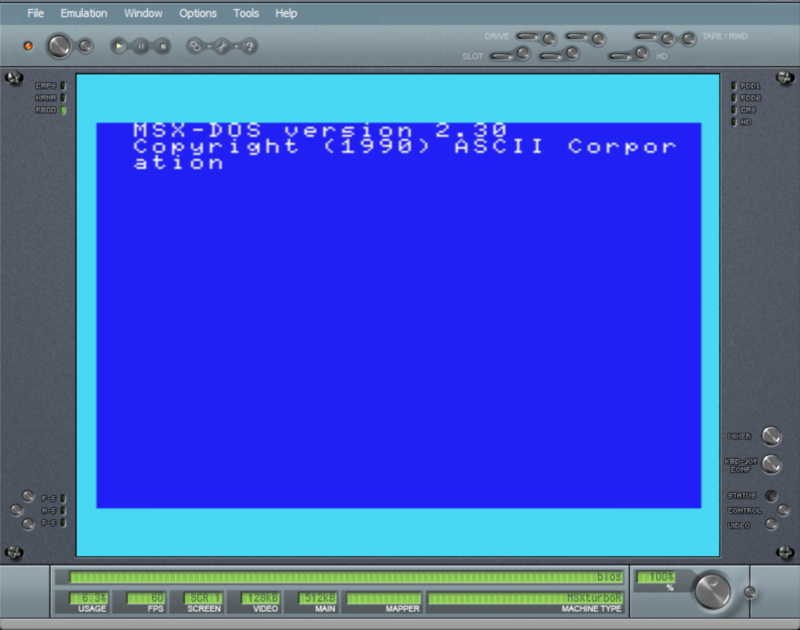 I have MSX-DOS2 diskimage and setup INL using BIOSDOS2.ROM. But It has not worked out yet. I am sorry but I do not know use INL under DOS 2. First of all let's try it on DOS 1. After months of trying to get a workable setup, This is seriously reaching a most extreme level of frustration.